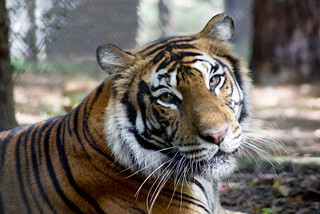 Looking for a more personal experience with Carolina Tiger Rescue’s residents? A Feeding with a Keeper tour may be just what you are looking for. During a Feeding with a Keeper tour, visitors will learn what we feed our animals and how the keepers maintain the animals’ health. The keepers will also share stories of our individual animals, as well as explaining the issues their species face both in captivity and in the wild. Visitors will work alongside our keeper staff during food preparation and feeding, seeing first hand what it takes to care for exotic carnivores! The tour will last approximately two and half hours. Please note: Feeding carnivores is messy! Visitors should expect to work with raw meat, blood, and whole carcasses. Please dress appropriately. Long pants are recommended and closed toe shoes are required. Available at 9 am on any day except Tuesdays. Reservations must be made at least two weeks in advance and are subject to availability. Call the keeper staff at 919-542-4684 ext 3005 to make your reservation. 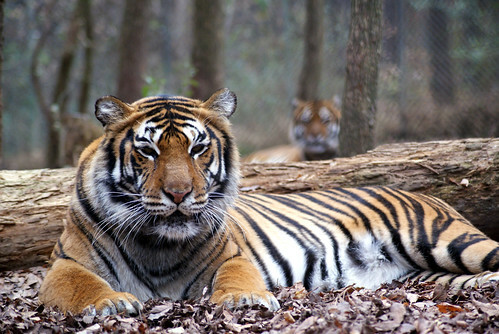 The keepers spend the majority of their days outside in the sanctuary. Please know it may take them a couple days to respond to your request. $250 per person/$500 minimum (Price before taxes). No more than four people per tour.